This week Joe reviews The Prison directed by Na-Hyun alongside temporary guest host Lorraine DeGraffenreidt. Our special guest is LA comedian and artist, Lisa Deng. A disgraced cop, sentenced to hard time in a prison he once helped fill, discovers a crime syndicate within its walls with a perfect alibi: at night, they break out of jail to commit intricate heists. Donate to help keep the show going at www.patreon.com/joecabello . It does cost more money to do this podcast than a normal podcast, since we have to see these movies. Any bit helps and encourages us. Hosts Joe Cabello (author Scrote One, The Farts Awakens) and Fred Le (Sherane Musical Comedy Show) review a new Korean film each week. They’ll be coming from the point of view of outsiders who don’t normally keep up to date on Korean cinema, nor will they know much about the movie before seeing it. What you’ll get is an earnest review. 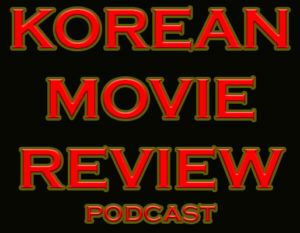 As we record more episodes and watch more movies, I imagine our relationship to Korean cinema will change. So stay tuned and check us out!